Bengaluru: Schools and colleges in Bengaluru will be closed and daily life is likely to be affected in JDS-Congress ruled Karnataka on Monday by the 'Bharat Bandh' called by the Congress over rising fuel prices and depreciation of the rupee. 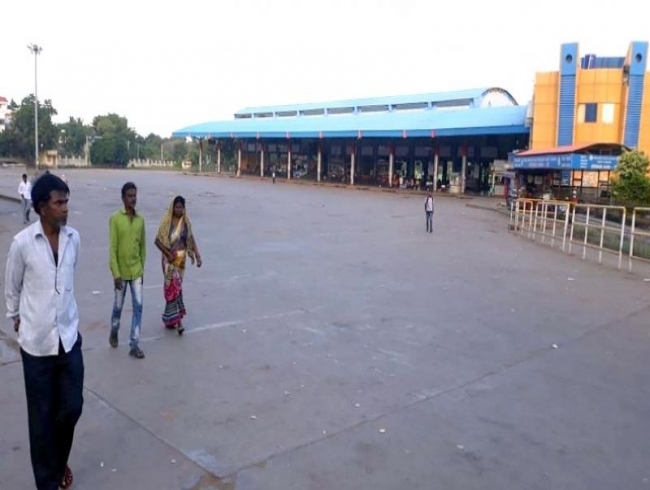 Public transport, cinema theatres, multiplexes among others were expected to be hit in the state during the nation-wide shutdown with the ruling Congress claiming the support of various trade unions. "The Congress party has called for a bandh Monday. Several other political parties and trade unions also are supporting our bandh call. Public transport systems also have extended support to our protest," Karnataka Pradesh Congress Committee (KPCC) President Dinesh Gundu Rao told reporters here Sunday. The objective to observe bandh was not to trouble people, but to fight for their cause as "they are living in the most trying times," Rao said. The bandh would also mirror people's anger and hardship against Narendra Modi government's policies, he said. State JDS President A H Vishwanath accused the Modi government of being 'crony-capitalist' working for the corporates and not the poor. Karntaka State Road Transport Corporation staff and workers' federation have extended their support to the bandh. The Federation of Karnataka State Lorry Owners and Agents Association, however, is only giving moral support. "Ours is an apolitical organisation. Yes, we have been affected by the fuel price hike. We will extend moral support to the bandh," South India Motor Transport Association President G R Shanmugappa said.